Elder Ryan Bell Texas Houston Mission: There is power in the WORD!!! Indeed my friends, it is Monday once again! But not just any Monday, today is a special Monday and here's why- for not 7 days shall pass and you shall see/hear me. You have the choice of a phone call or Skype. Ultimately, mother this is up to you since Mother's Day is YOUR day and the main purpose is to speak with YOU, and then everyone else when you are satisfied with all you have to discuss. We have been given 30-40 minutes to do this and no time restrictions (Other than Church) so I guess I will probably just call you and ask if you want to Skype or just talk on the phone and we can go from there. I have no idea what time I will actually be able to call so I guess I'll just call at some point and hopefully this works for everybody? I know that is mysterious and weird, and that's good.... because that's what I was going for. Thank you all for the e-mails, stories, encouragement, information, and for sharing your lives with me! I have a miracle experience I would like to share with each of you now, if you will permit. I was on 2 exchanges this week and one of them was with my super shy MTC Companion. We went to talk to people at about 10 am at a park a mile or so away from the apartment. As we walked, I felt very strongly that there was someone in some neighborhoods directly to our right who needed us, so without delay, we veered from our course and spent 2 hours in the neighborhood knocking on doors. We gained not a single investigator, actually to many it would look to be an unproductive 2 hours. I have no idea why we were there, but the fact of the matter is that even though we didn't SEE any success doesn't mean we were not supposed to be there. A guy could have looked out his window and seen us, or our testimonies are burning within someone who rejected us, or WHATEVER. No matter what, we felt it, we did it, the Lords purposes were accomplished, whatever those may have been at the time. But I digress. After this unplanned and tedious activity which produced much sweat. (Awesome!) I at last felt it was ok to return to our original destination which was the park. Now this park is a massive forest with trails running through it. I love this place because there are always people there during the day to talk to. We sat down on a bench for a minute and took a drink. My temporary companion mentioned lunch and we determined to head back to the apartment to eat and then come back to the park following that. As we went to leave, I saw a guy walking on a nearby trail to an intersection we were very close to, so as I always do, without warning to my companion, I change my course and go to talk to this guy. Now this guy was walking very briskly. I approached him and said, "Hello! Do you have a second we could talk to you?" He walked right by without stopping or looking back and said, "What are you, Jehovah's Witness?" I quickly joined him in his quick pace and explained who we were. In a very challenging and intimidating way he said, "Ok, I'm listening. Start talking." So I asked him about himself. He was impatient with that and wanted to hear what we had to offer saying, "I don't think you know what you just walked into. My father is a preacher and I am studying to be a preacher too." To be honest I don't know what kind of reaction he was expecting but I just went "Cool. That's awesome!" I was walking with him at his quick pace and my companion was a few steps behind trying to keep up. I told him that we came bearing the message of the Restored Gospel and that we have a prophet on the earth today! He fought the last point for a while and I hear him out (NEVER argue!!!!) He said the Holy Ghost was upon him and showed me his goosebumps and then stopped walking to shout points of doctrine every now and again randomly when he became excited. He asked questions and I did my best to answer them. I asked him questions and heard his beliefs. I bore my testimony and tried to be as compelling and courteous, but bold as possible. Nothing really seemed to work. His mood had softened as we came to the end of the two mile walk we quickly took with him. We got to some benches for him to cool down and somehow began telling him about the Book of Mormon. He was by the description of it and said, "I'll hear you, start talking." So we had him read from the introduction about the Book of Mormon being a record of God's dealings with the ancient inhabitants of the America's. This caught his interest. But the real miracle of all this is when he read the second to last paragraph of the introduction of the Book of Mormon. As he read this paragraph his reading became slower, his voice became softer, and the Spirit grew stronger. The man who was just before yelling his points of doctrine into the trees was now speechless. There is power in the WORD!!! I bear solemn testimony of that, for I saw it with this man and then saw it again that very same day! This man then agreed to take the Book of Mormon and read it. 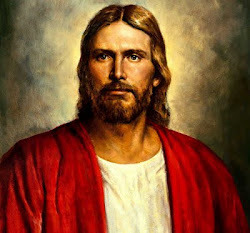 It is hard to describe the contrast between his stubborn, challenging mood when we first met him; and his humble, speechless, reverent mood now after reading from the Book of Mormon and feeling the piercing still, quiet voice of the Holy Ghost. He then looked at the Book of Mormon differently, he held it differently for he knew now that this was no ordinary Book. I bear record that it is true. It is all true! What kind of a book except a book inspired of God could do that to a man? None. There is no other record published record on this earth as pure and as powerful as the Book of Mormon. It was written by inspiration of the Almighty, it was translated by inspiration of the Almighty, and it is by the inspiration and power of the Almighty that this sacred record goes forth throughout all the earth into the hands of people like this Gentleman. It is true. It is absolutely true. I hope you all have a fantastic week! I love you all and look forward to hearing each of your voices. And I leave these things with you in the name of Jesus Christ, our Redeemer, amen.